It’s time for Forum Friday again! The Twins are prepping for spring training, the Vikings are pouring over NFL Combine numbers, and the Wild are vying for a playoff spot. 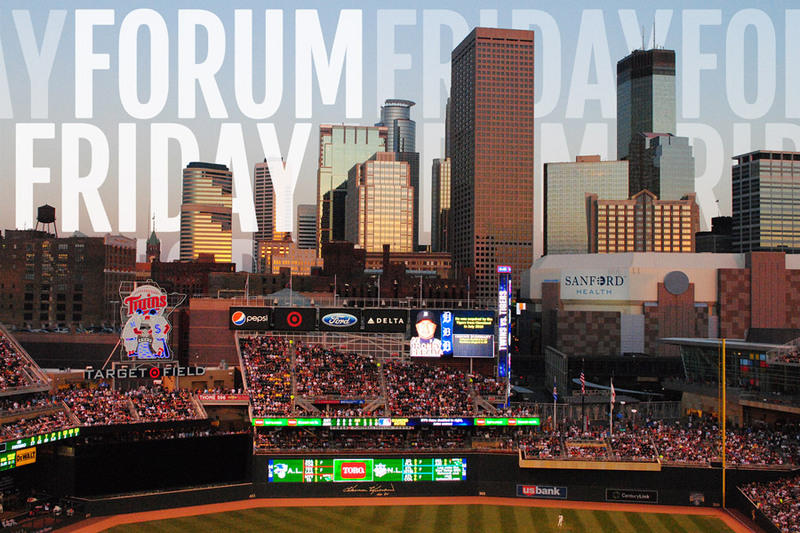 So much Minnesota sports talk, so few Fridays to post it all. But first, a reminder that your MinnCentric account works across all three entities: Twins Daily, Vikings Journal, and Wild Xtra. Additionally, you can now create an account using Facebook or Twitter! The Astros and Twins share several traits: young teams, loads of potential, good farm systems, and bad records. Fangraphs scribe August Fagerstrom compares two young outfielders who each made an impression on their respective teams last season: George Springer and Oswaldo Arcia. As pitchers and catchers prepare to report over the weekend, Twins Daily users continue to post their experiences from Fort Myers as the baseball season begins to ramp up in Florida and Arizona. Fangraphs loves the Twins farm system and ranked eight (!) Twins prospects on their top 200 list, though debate broke out over the omissions of Nick Burdi and Eddie Rosario. Twins fans are greedy when it comes to prospect rankings. Derek Wetmore from ESPN 1500 wrote an article asking who should be the next player to have his number retired by the Twins. Should it be Torii Hunter? Jim Kaat? Brad Radke? Give your us your take! Mike Freeman from Bleacher Report wrote an article blasting Johnny Manziel and praising Teddy Bridgewater. With every passing day, it seems more like the Browns took a bullet for the Vikings. Devan Dubnyk has been a revelation for the Wild. It turns out that his renaissance in the net may not be fueled by luck but is a result of new head-trajectory technology employed during the offseason. A must-read article.